Train Your Brain. Raise Your Game. 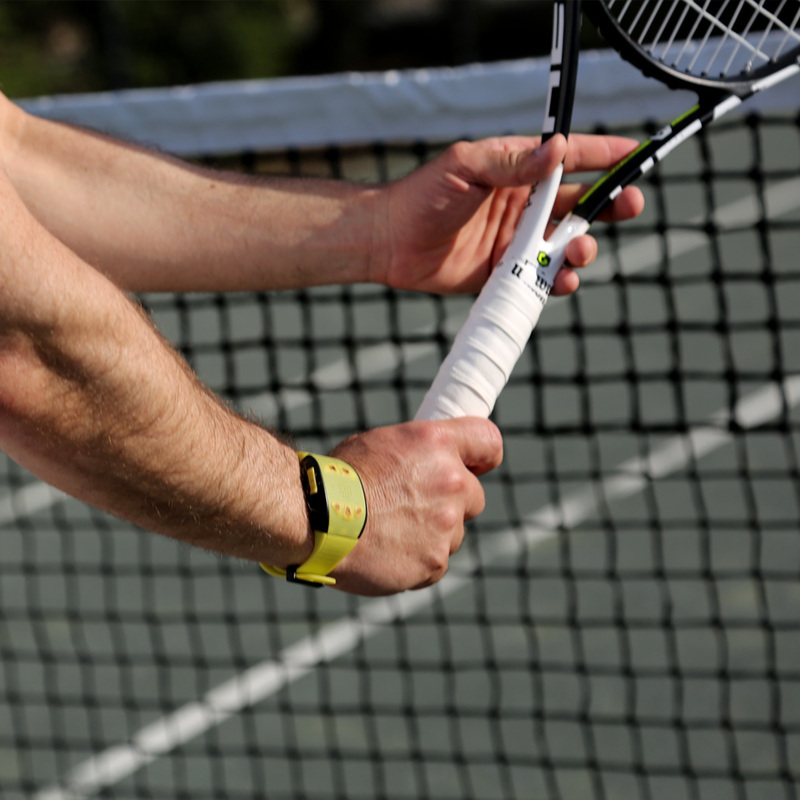 NeuroTennis is a wearable wrist band that improves all aspects of your tennis game. Because it coaches you while you play, it’s unlike any other sports wearable on the market. Coaching Instructions are synchronized with the rhythm of your playing, conditioning your brain to develop the best skills and habits. NeuroTennis can be used solo or in a unique two-player mode with sensors that communicate across the court to stimulate your reactions at the exact right time. NeuroTennis is controlled by an app on your smartphone. 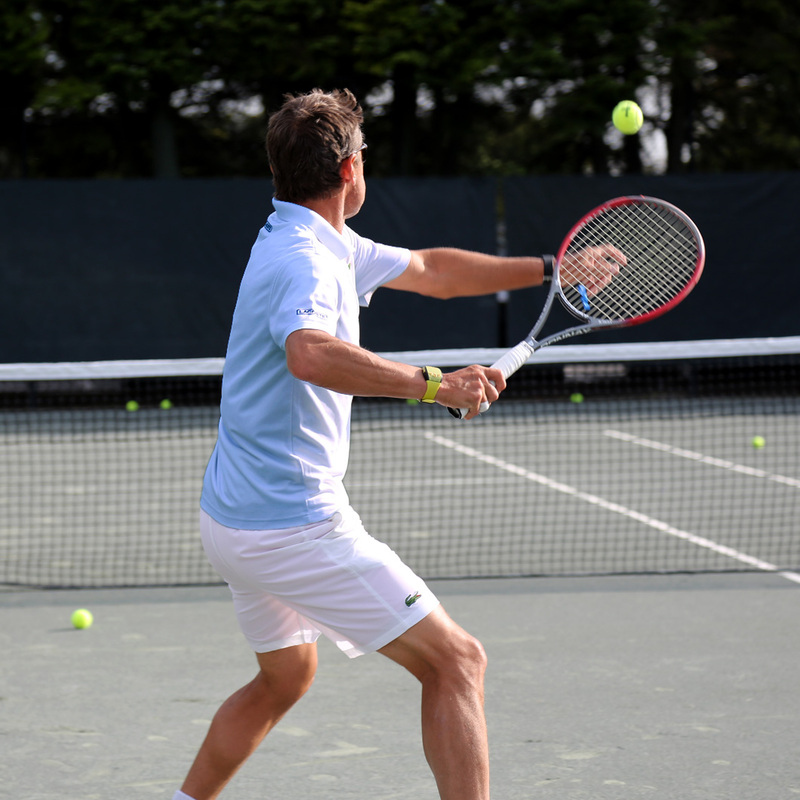 The app allows you to select and customize lessons and drills from an extensive library designed by our world-class coaches, including Mats Wilander, former world number 1, and winner of eight grand slams. NeuroTennis works on all aspects of your game – mental, technical and conditioning — and immediately changes the way you play. By making good habit changes permanent, you achieve breakthroughs — no matter your level. NeuroTennis puts you on two simultaneous paths to achieving breakthroughs. First, it turns the good elements of your game into consistent behavioral patterns. If you are like most tennis players, there are already plenty of things you know how to do well, but you just don’t do them all the time. By making your strengths into true habits, you will quickly reach your current potential. Second, NeuroTennis expands your future potential by introducing new skills and concepts, and then pushes you to turn those into new habits. When you know what you need to do on court, you get that special feeling of confidence that makes you play your best. Playing without a plan, or anything specific to focus on, is often the cause of poor performance. Find a new sense of purpose on the court. Your opponents are sure to take notice. Success is about playing well sustainably– not just hitting a great shot once in a while. NeuroTennis conditions your brain to play consistent high-quality tennis. Nothing will raise your level faster than that. When you practice with a focus on quality, not only do you engrain the best habits and work out harder, but you also develop that all-important skill – focus itself. Practice should not just be a physical workout. With NeuroTennis, your practice session becomes a time to improve in specific ways. In tennis, like in any competitive activity, following a system is key to success. A person with a clear method to playing the game generally beats a person who has a vague concept of what to do on the court. The NeuroTennis system eliminates the vagueness in your game. Players know that tennis is one of the most mental sports there is. The mental side is the hardest aspect of the game to master. 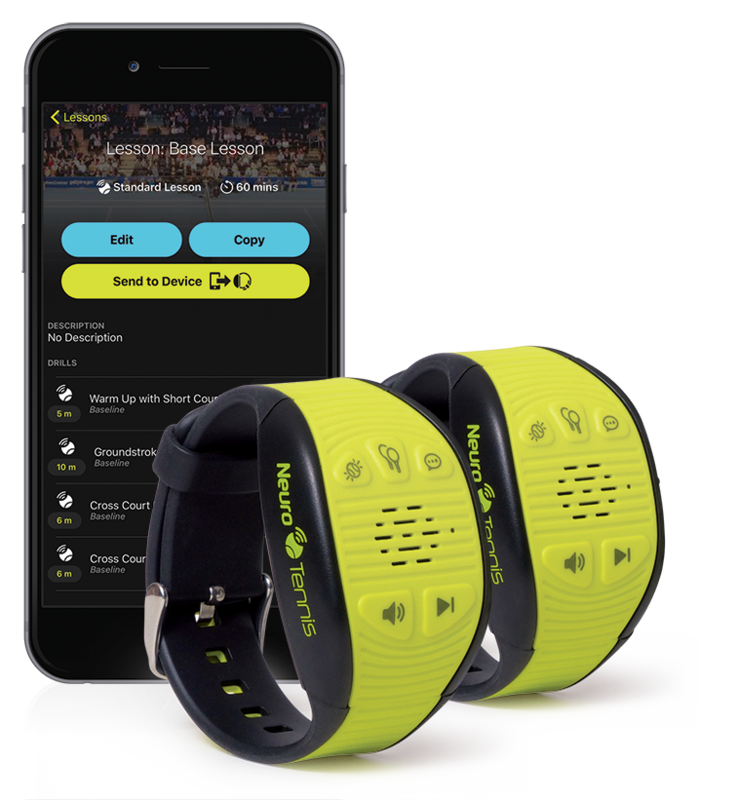 NeuroTennis is the only wearable designed to specifically exercise that all important “muscle” – your brain! Other wearable tennis products just measure physical results like speed and spin, and tell you how many strokes of each type you hit. These metrics are unlikely to make a significant change in your game. 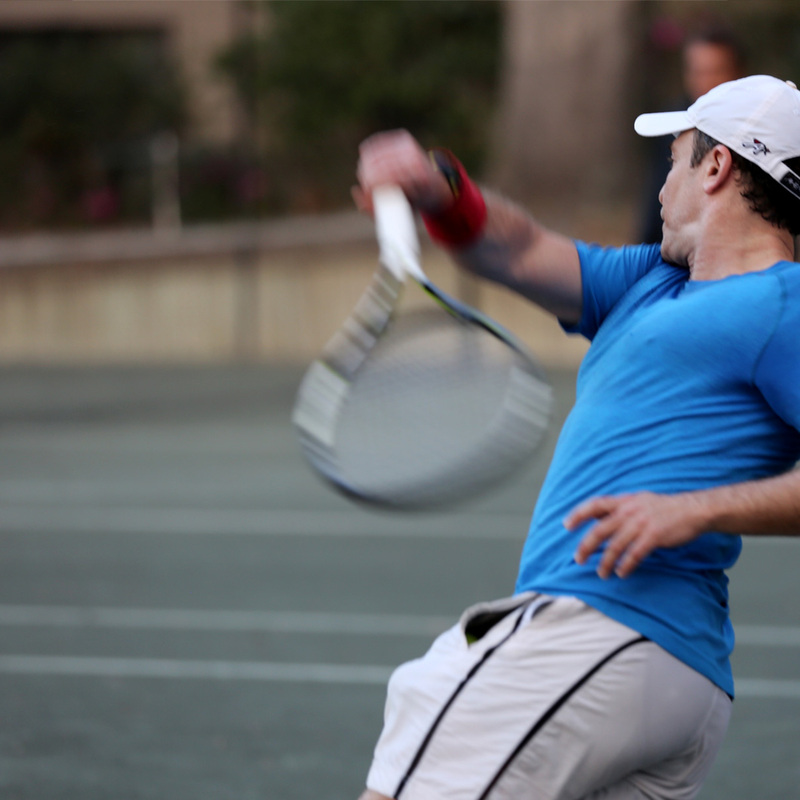 NeuroTennis is about actionable information – what you can do right now to raise your game. With NeuroTennis’ extensive library of coaching instructions and personalization technology, you will always be pushing your game to the next level. NeuroTennis delivers a unique combination of mental and physical training, programming your mind and body to work together, which is critical for maximizing your potential. Live coaching™ keeps you working with professional-level focus on the court the entire time you are playing, teaching your brain specific improvements. In each practice session, you can acquire new skills or perfect your current ones. NeuroTennis comes packed with valuable drills. And, you or your coach can also tailor drills to your specific needs. Even create custom coaching instructions in real time on the court, and try them out right away! Unique, Two-player or one-player system provides you with flexibility to use NeuroTennis whether you have a partner lined up or not. Even use it with the ball machine or hitting against the wall. The two player system is a unique concept and technology unmatched by any other training tool. ©2018 Neuro Tennis, Inc. All rights reserved.